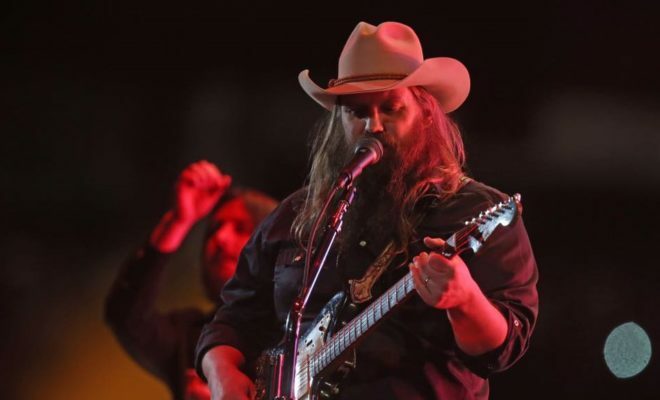 Chris Stapleton has recently announced he’ll be bringing his brand of country music to more than 40 tour stops this year, including a show in the Texas Hill Country on April 25. Not only that, but he’ll be headlining together with the King of Country Music, George Strait, for one of these amazing shows! His unique singing style and talent has been tapped for major appearances and special promotions, such as the Bobby Bones Show clip above, singing “Your Man.” The song was hit for Josh Turner. Shared on the namesake YouTube channel as well as being a favorite on the Chris Stapleton YouTube channel, Stapleton’s acoustic version of the song he co-wrote has been viewed more than 13 million times. For the All-American Road Show, Stapleton will perform concerts in Europe before making his first stateside appearance in Oklahoma. Following that, he’ll be in Georgia (where he’s scheduled with George Strait at the Mercedes-Benz Stadium), and Arizona, and finally in Texas, where his Lone Star State fans can get a dose of that special sound we’ve come to know and love.